Christmas fireplace mantle bells, original by Irish Leather Works! A beautiful set Fireplace Mantle Bells by Irish Leather Works. This set is about 21 inches long and is very heavy. The real thing! What a great gift or decoration. 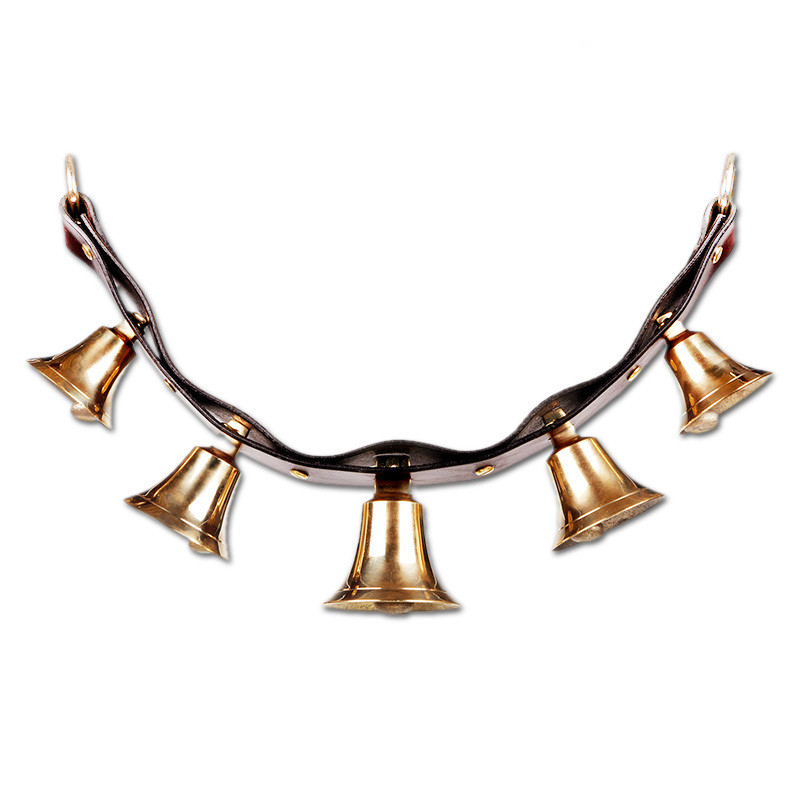 The real original Jingle Bells, Great for weddings too!!!. 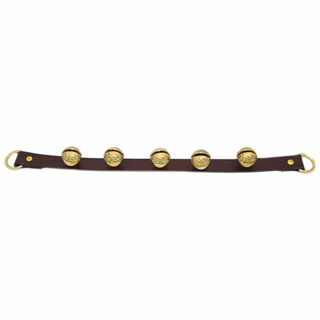 All heavy equestrian solid brass hanging bells and hardware with brown English Bridle tooled leather. 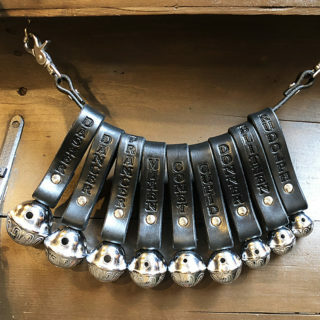 The strap is 1 ½ inches wide, the largest bell is about 3” x 3”. Great sound!!! Handmade one at a time.